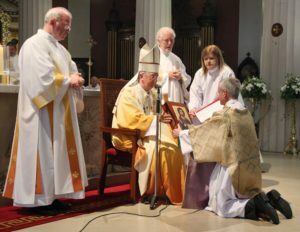 to the webpages of the Office for Vocations and Permanent Diaconate for the Archdiocese of Dublin. We hope you will find these pages informative and helpful. Trying to understand where we are being called in life is an exciting adventure. Being called to be a priest today is a calling that fulfils the deepest desires in the human heart to both serve the Lord and our brothers and sisters. It takes time and courage to discern a vocation to priesthood. Understanding where God is calling you is about unearthing a treasure that the Lord has placed in your heart. You don’t have to be on your own as you discern a vocation to priesthood. We are here to help you. Responding to the call of Christ to be a priest is an exciting challenge today. Being a Spiritual Father and Spiritual Healer to those entrusted to your care takes courage! Being a priest today brings with it the knowledge that you are not alone, that with Christ and the love and support of the believing community you will make a profound difference in the lives of all those you come into contact with. 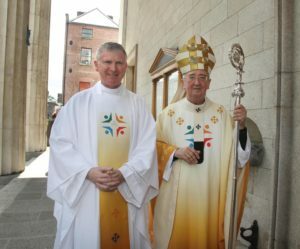 We have only one life, if that life is lived out as a priest then it will be a life well spent! If you have any questions or if you would like to meet with the Director of Vocations please do not hesitate to make contact. It takes courage to make that first step, so it is important to know that any contact you make will be in strict confidence and will put you under no obligation. 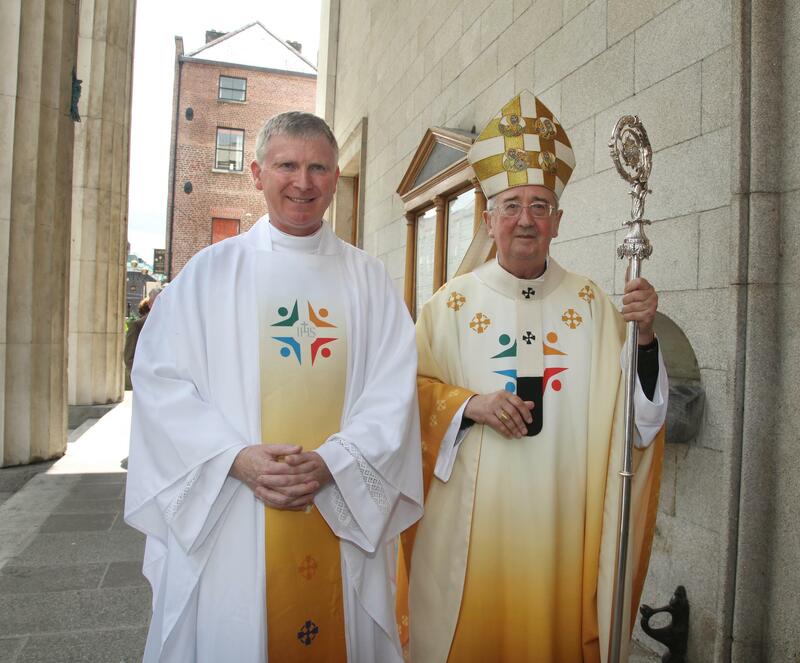 The ordination of Seamus McEntee to the Priesthood in June 2014. Ordination of three permanent Deacons in June 2013.